It’s an adage as old as craft beer itself: beers are almost always best kept cold, especially hoppy ones. Unlike their hardy, pasteurised big brewery peers, you're best to treat them like milk; under 5C sounds about right. Yet, while the discerning beer drinker ensure they buy their double IPA last on their afternoon shop, then flick the aircon to max for the drive home, how do you know what’s happened to the beer before it’s in your hands? Was it kept cold at the brewery? On the truck from the brewery? At the warehouse or the bottleshop? How long did the journey from source to retailer take? And how hot was it last week when the beer was on the move? While “fresh is best” is a message pushed by myriad breweries, it's one that requires more than consuming beer as young as possible. The warmer a beer is stored, the faster its freshness fades. Yet, even with hop forward beer styles like the pale ales and IPAs leading the charge for craft beer in Australia, cool storage and distribution don’t always follow. One brewery that’s made its name on the back of an ever-expanding lineup of hoppy releases – Modus Operandi, in Sydney's Northern Beaches – has always cold stored and transported its beers. Co-owner Grant Wearin says, since craft breweries brew premium beer, investing in quality is essential. Part of that process involves buying the best ingredients and equipment, but this shouldn’t be where investment ends. When Modus beers leave the tanks at the brewery, they’re stored cold and remain that way until they reach their destined bottleshop or bar. Grant believes cold shipping should be expected when brewing beer that can be degraded by both heat and time. Head back a decade and it was a similar approach that kept East Coast drinkers waiting years to taste Feral's beers, as brewery owner Brendan Varis wouldn't send Hop Hog across the Nullarbor until he could guarantee refrigerated transport, something that highlights the glacial pace at which infrastructure has advanced when it comes to moving beer cold. For Grant, he thinks people who drink Modus beers expect them to be treated properly. As a result, he sees drinkers as the ones driving the push for cold storage and transport. Thankfully, the infrastructure capable of providing cold storage and shipping is improving. Ric Dexter is the managing director of Bluefreight Project Logistics, which recently launched a refrigerated coastal shipping service for brewery owners who want to send their beer from Melbourne to Perth. Ric will be known to many as the festival director of the Ballarat Beer Festival but, for close to 40 years, he’s worked in logistics. At times, that's led him to combine his passion and his vocation by importing brewing equipment, shipping local beer to China or handling the huge array of beers that is moved around the country for GABS. “I’ve done a few projects with equipment going backwards and forwards around the coast and I thought I should probably check out the prices of refrigerated container,” he says. 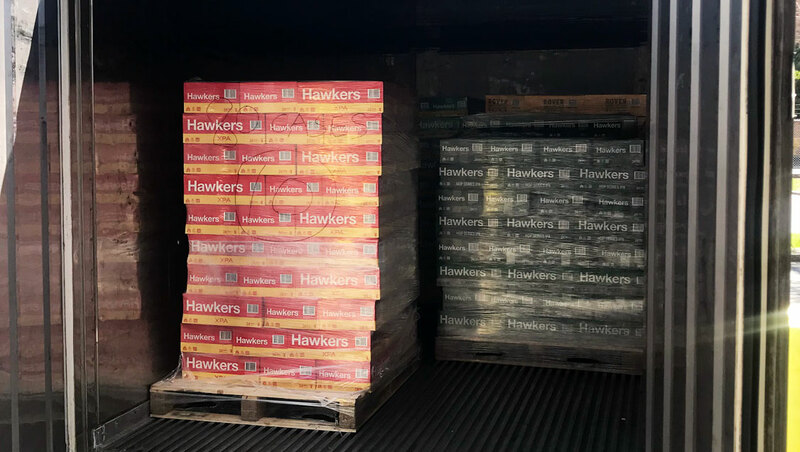 A shipment of Hawkers being prepared for delivery to WA. Already, Bluefreight has shipped containers for Hawkers Beer, with Ric saying shipping beer from coast to coast, which takes ten days on average, can be cheaper than sending it across the Nullarbor cold. “The beer is dropped at [logistics company] Liquex and kept cold; it’s then loaded on a container and taken to the wharf and put on power [in other words, kept cold], it’s put on the ship under power and sitting at three degrees. It’s taken off the wharf at the other end and put under power until it’s picked up and then it’s delivered to the cool room. In Western Australia, Growler Depot recently launched with the aim of providing breweries with the space to warehouse their beers cold. 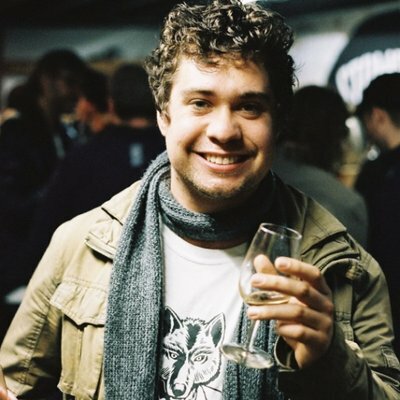 George Scott, who is part of the team behind Margaret River’s Beerfarm, launched the operation because, as a brewery owner, he understood the challenges brewers faced keeping their beer cold. And, while he understands the added cost of cold shipping can pose challenges of its own, he says the message coming from America is clear. “It’s not rocket science because American’s already been there and done it; they’ve had their upturn and their downturn and the breweries that invested in cold chain and quality lasted. Before a beer makes it into the drinker’s hand, there’s the final stop on its journey: the bar or bottleshop. Sure, a brewery might invest in keeping beer cold from the moment it’s brewed to the point where it reaches the retailer, but there’s nothing to stop a store then keeping it on the floor or on shelving at ambient temperatures, whether that’s in the bar or shop or a store room out of sight. Ambient floor stacks are as much a part of the Australian bottleshop tradition as goon, colourful cigarette lighters and 17-year-olds trying to look tall and confident, while even many of the best known specialist beer stores will still have hoppy beers sat unrefrigerated on their shelves. For George, as with many aspects of the beer world, it comes down to education and training. 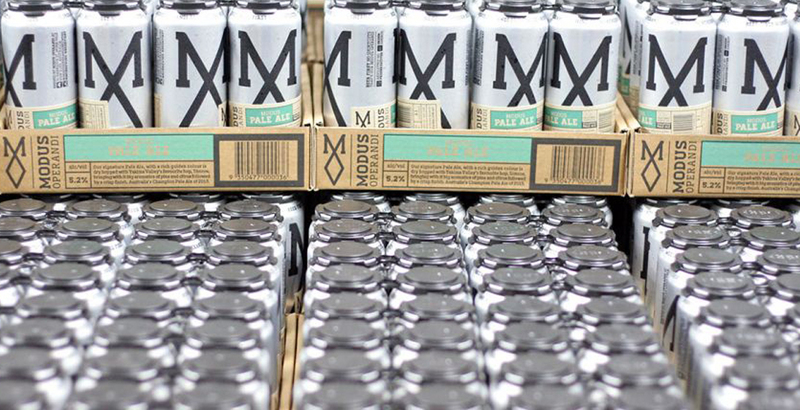 At Modus, it’s something the company has faced as it’s grown: the brewery’s distribution is now national and beers like Former Tenant can be found in BWS. 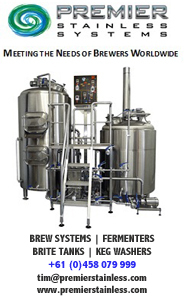 Yet, says Grant, while stepping up to larger retailers presents its challenges, breweries have a responsibility to ensure their beer is kept in the best condition possible. “There’s a step you can take, which Modus does, and that’s agree with the customers you sell to that they store it cold – we put it as part of our credit application process,” he says. Grant adds that, when it came time to put Modus beers in BWS, the brewery wanted to avoid sending them to the retail chain’s distribution centres, which aren’t refrigerated, and instead opted to deliver beers directly to individual stores. 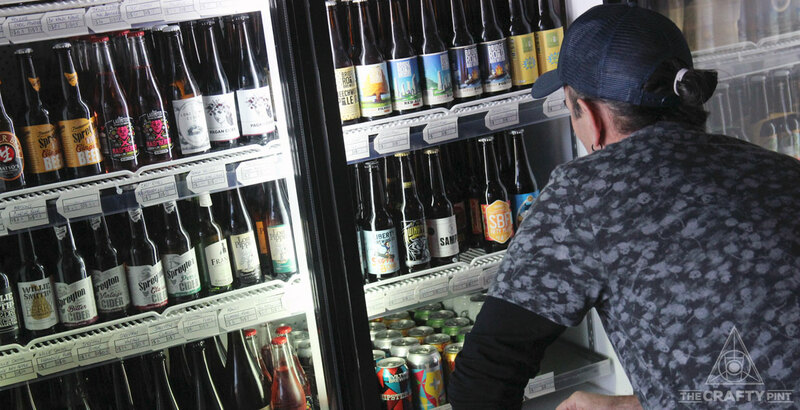 “We can’t control the training and education levels within bottleshops – we can at an owner level where they have read and agreed to our terms – but we can’t down to the casual level. 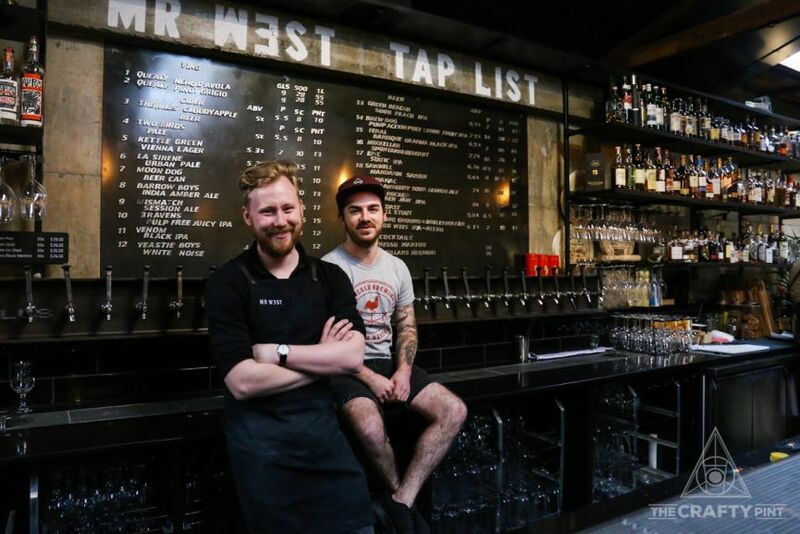 One venue at which brewery owners don’t need to worry about education is Footscray’s Mr West. Opened by Josh Hodges and Caleb Baker in 2017, the bar and bottleshop keeps all its beers cold, all the time, whether they arrive in kegs, bottles or cans. Josh Hodges (left) and Caleb Baker at Footscray's all cold, all the time Mr West. Josh says committing to cold storage brings commercial challenges and means the bottleshop misses out on the discounts from breweries that can come from making large orders. But, when he and Caleb decided to open Mr West, they didn’t want to compromise the quality of the beer they were selling. “There’s such a drastic difference with fresh beers to older beer, then there’s a drastic difference again if those fresh beers aren’t stored correctly,” Josh says, adding that a reluctance among many local venue and bottleshop owners to invest in cold storage risks making the drive towards cold storage and distribution redundant. By comparison, when Josh and Caleb were in Canada carrying out research before hosting this year’s Pint of Origin Canada at Good Beer Week, they found that, even in that cooler climate, storing beer cold was the norm, as was working to reduce shelf life. As the local market becomes ever more crowded and competitive, he believes investment in keeping beer in as good condition as possible – whether you’re the brewer or the retailer – will become increasingly important. Photo to top taken at Empress Craft Beer in Devonport. You can check out other Big Issue articles here.